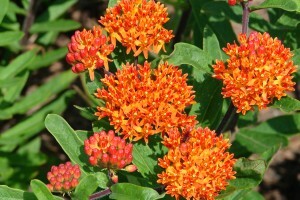 There are many good reasons for growing native plants. Native plants are adapted to local growing conditions; they promote biodiversity and support local wildlife; and in general, they need less maintenance. Besides, native plants are “Vineyard vernacular”: they just look right in our gardens and landscapes. The best native plants for Vineyard landscapes are local ecotypes -plants grown from seed collected from Island plant populations. But whether gardening with native plants or using them to restore habitat, you need more than good intentions – you need plants! In 2006 the Arboretum introduced a fledgling program called “MV Wildtype” in an effort to meet the needs of the Vineyard community. To read more about this program see our article in Public Garden. We are pleased to be a member of this international organization whose mission is to “To mobilise botanic gardens and engage partners in securing plant diversity for the well-being of people and the planet“. BGCI represents over 700 members – mostly botanic gardens – in 118 countries. They aim to support and empower their members and the wider conservation community so that their knowledge and expertise can be applied to reversing the threat of extinction crisis facing one third of all plants. To do this BGCI supports the development and implementation of global policy – specifically the Global Strategy for Plant Conservation (GSPC) – at a global, regional, national, and local level. Their most recent initiative is Plants for the Planet, a campaign to generate broader public support for plant conservation and raise awareness that all life on earth depends on plants. In October of 2010 at the Convention on Biological Diversity a renewed and strengthened Global Strategy for Plant Conservation was adopted by 193 participating Governments. This ten year strategic plan aims to guide international efforts to save biodiversity on a global level. Read more about the Nagoya Biodiversity Summit.